Featuring works from Carleigh Romeis, Ed Leckert, Erika Arndt Klimecky, Heidi Walker, Jessa Lewis, Orian Ahrensfeld, Rakesh Malik and Sarah Henderson. As we think of Valentine’s Day, inevitably, we think of love and beauty. As musicians, artists, photographers, etc; love, art and nature feel intertwined. We’re so fortunate to live in a city surrounded by a community of artists. What better way to think of celebrating this month’s Art Walk than to consider The Great Outdoors. How have you experienced nature? How does art, love and nature intersect for you? Please celebrate Valentine’s Day with A-1 Piano Sales & Rentals as we enjoy The Great Outdoors. In addition to photography, paintings and jewelry by our friends, we’ll also be featuring local musical talent! Artists present. Featuring paper cut work by Nina Crampton, acrylic and mixed media by Babs Fulton, textiles by Frances Herring, photography by Abbie Deleers, acrylic on canvas by Gloria Freitas, pen and ink by Jenny Chang, mixed media by Kristol Jones and Frankie Olivo and special surprise artists. Theme is “What’s Love Got to Do With It? Artists present. Open only until 8pm. A show of abstract futurist artworks on paper with a northern sense of humor. Jan Tervonen’s work is a combination of clean Finnish design and bold Japanese brushstrokes. Artist present. 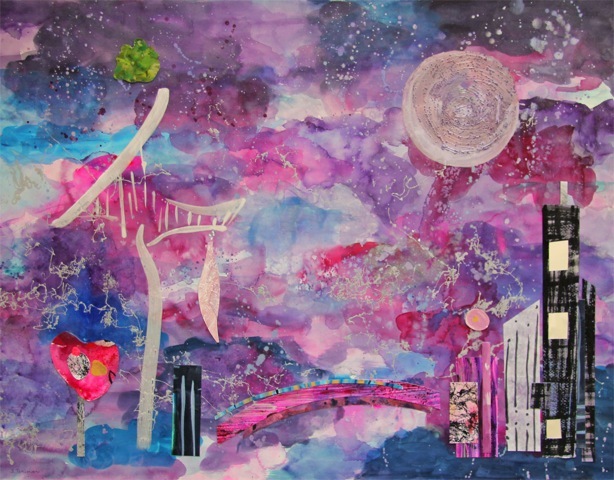 Creative fantasy pieces and collages with mixed media on various materials by Nostradamus Jr. Artist present. Wood carvings of wildlife, portraits, and landscapes by J. L. Anderson. Artist present. Choroloco–PNW Folklore Society Coffee House Concert 7:30pm. Free. Featuring DRAGONS! created by the children of Illumination Learning Studio. Mixed media paintings by Christine M Bingham created on the theme of “The Miller’s Daughter” based on the famous fairy tale of the story of Rumplestiltskin. Fairy tales can be great parables of mistreated women. Artist present. 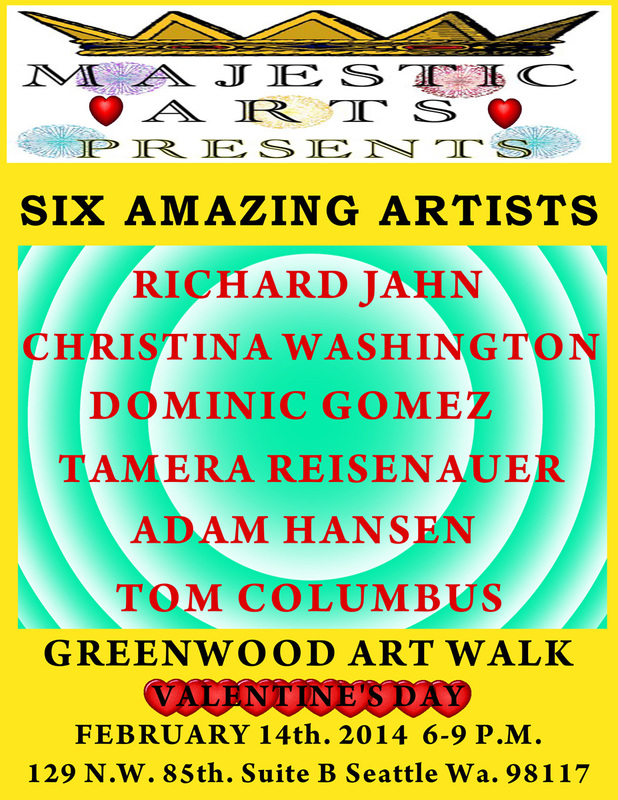 A collection of 6 amazing artists working in multiple mediums: Richard Jahn, Dominic Gomez, Tom Columbus, Christina Washington, Tamera Reisenauer and Adam Hansen. Artist present. 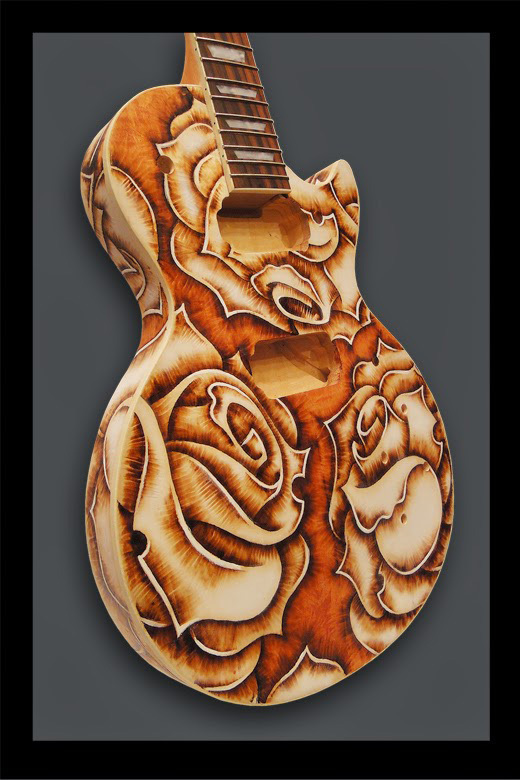 Featuring work by Bernard McGahan who creates wood burn designs on guitars, skateboards, plywood and other media. Artist present. Abstract artwork by local artists. Cynthia Esselman is a mixed media artist. Her February show at the Phinney Center Gallery, titled LAND PATTERNS, is a series of pastels and monoprints that interpret the underlying structure of the landscape. 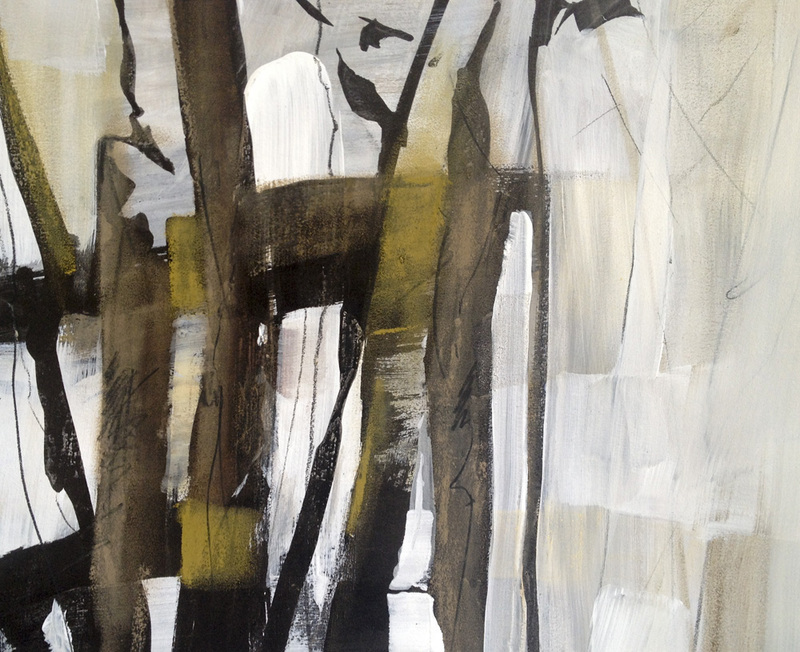 Both abstract and realistic, the pieces explore the texture, patterns and form within the northwest landscape. Artist present. Featuring Joya Marsh, who creates abstracted urban imagery and will feature a number of linocuts and collage works. Artist present. Artwork by Hannah Spry. Artist present. 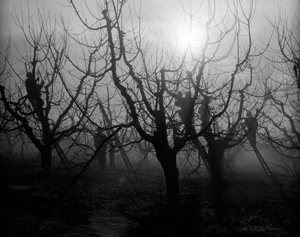 “Nocturnal Landscapes” by Orion Misciagna. These paintings are meant to be displayed under very low light to create the feeling of night time scenes as much as possible. Artist present. *Venues offering artwalk specials or discounts.